The two sides meet in the first leg of their Champions League last-16 tie on Tuesday evening at Old Trafford, but the visitors are without two key players which may have already swung the pendulum towards United. 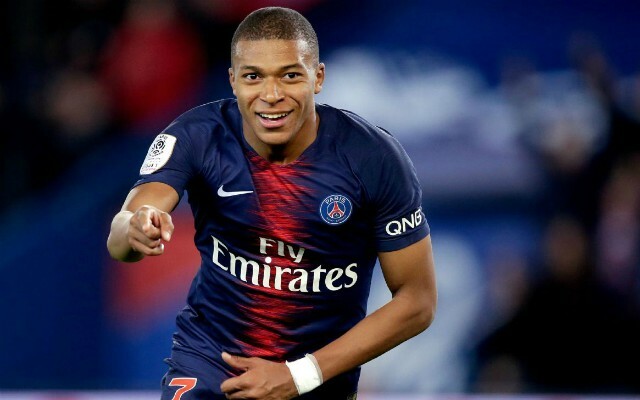 Neymar and Edinson Cavani have been sidelined through injury, which has left a huge deal of pressure on Kylian Mbappe’s shoulders, as he will now be expected to lead from the front as PSG’s main goal threat. Fortunately for Solskjaer, the Red Devils have no such issues of their own, with a full-strength squad to choose from which is full of confidence after a superb 11-match unbeaten run. PSG coach Thomas Tuchel may have to employ some shrewd tactics to keep United at bay, but his team remain very strong in defence as they bid to combat Solskjaer’s free-flowing side. Caught Offside has put together a combined starting XI which consists of the available players from both Man United and PSG squads for tonight’s game, starting with David De Gea in between the sticks. Gianluigi Buffon will go down as arguably the best goalkeeper in the history of the game, but he has faced a stiff battle with Alphonse Areola for PSG’s number one shirt this season, while De Gea has once again been a standout player in the Premier League. 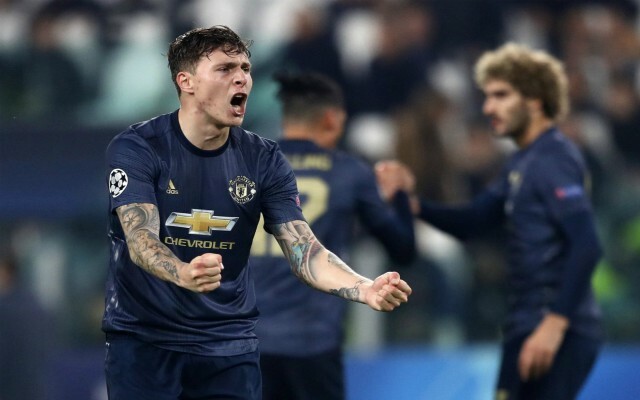 Across the defence, Thiago Silva is an obvious inclusion, while United have a new and improved Victor Lindelof to call upon and together they would surely make a great centre-back partnership. 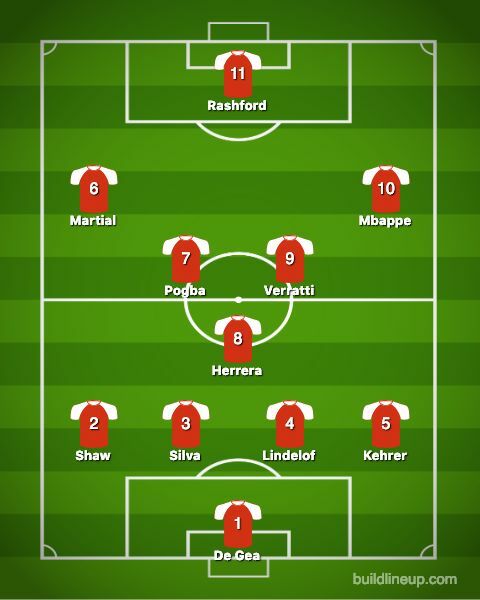 Luke Shaw earns the spot at left-back after his stellar 2018-19 campaign to date, with Thilo Kehrer completing the back four on the opposite side, just ahead of Red Devils veteran Ashley Young. In an all-star midfield diamond, Paul Pogba gets the nod with PSG playmaker Marco Verratti alongside him and Ander Herrera just beats Marquinhos to the holding role slot, having been a key figure in United’s recent revival. 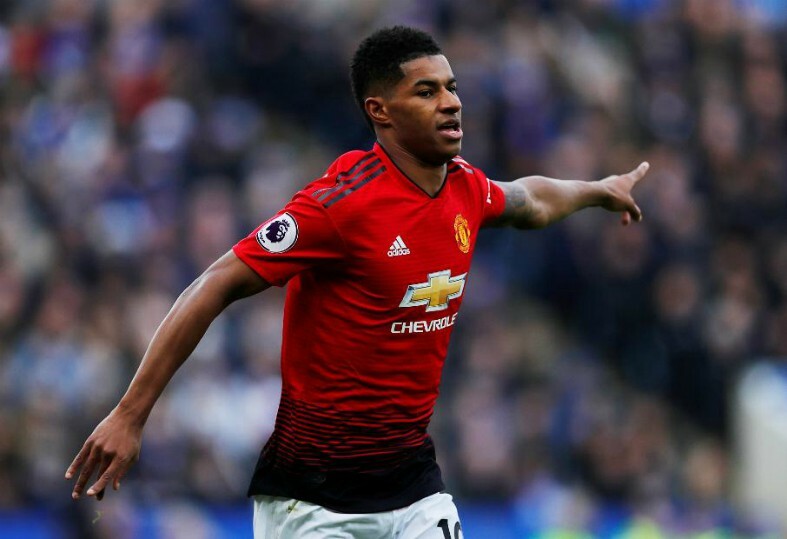 The front three pretty much picks itself on current form, with Marcus Rashford and Anthony Martial tipped to cause havoc in the final third of the pitch, but Kylian Mbappe is also included on the right-hand side. 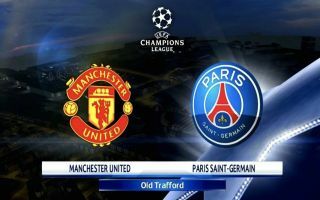 Solskjaer will be expected to oversee another United victory at the Theatre of Dreams to put them on course for a quarter-final berth, however, PSG still pose a huge threat, even without two of their most prized assets.